The churchyard is situated in the village of Drovian. The turn off for Drovian is around 5 km east of the village of Bistrice on the national road SH99. Continue for a further 5 km south to Drovian. 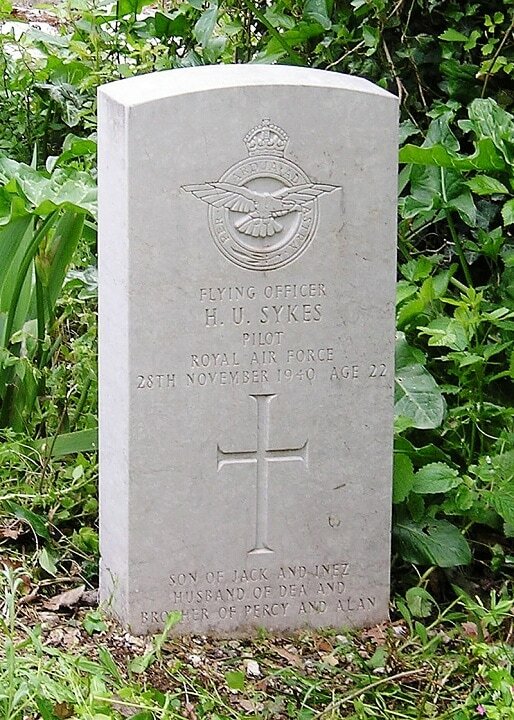 40269 Flying Officer Harold Ugo Sykes, Pilot in 80 Squadron, Royal Air Force, died 28th November 1940, aged 28. Son of Jack Sykes and of Inez Sykes (nee Barbier); husband of Dea Valerie Sykes, of Monkseaton, Northumberland.